Clash is delayed. Let’s talk about what’s next. tl;dr: Clash is delayed and needs some bigger adjustments to get ready for primetime. Clash will be back in a series of free regional tests before the end of the year. First of all, to everyone that had a negative experience with the launch of Clash, we apologize. As players, we were so excited to experience Clash alongside all of you, and, as developers, we’re incredibly disappointed that your first experience with Clash may have been a bad one. The team has been working extremely hard to figure out what went wrong and what we need to do to re-launch Clash. In this post, we’ll talk about what happened with the launch, where we’re at now, and what the future looks like. Shortly after launch weekend failed, we outlined our plan to launch one-day tests in each region to test our quick fixes. While Clash ran smoothly in EUNE, Oceania, Korea, Russia, Thailand, Singapore and the Philippines, we still encountered a variety of problems in Vietnam, Turkey, and EU West. At their core, many of these issues stem from the fact that the platform that powers League of Legends was created quickly, responding to rapid scale around the globe. Technically, the platform was written as a monolithic service, which means that when things go wrong, it’s difficult to debug. This monolithic platform handles things like: starting games, telling your client what skins and champions you own, what level you are, etc. Over time, we’ve been refactoring aspects of the platform opportunistically, but this is a long-term process that is akin to rebuilding parts of the airplane mid-flight. Clash behaves in a unique way, insofar as it’s the only experience in League that asks the platform to create a huge number of games simultaneously. After the success of the various public betas we ran leading up to launch, we felt confident that the experience would stand up. But ultimately this unique aspect of Clash together with the nature of our platform led to the failures many of you experienced. We are now in the process of addressing these issues—both for the short-term and the long-run. In the short-term, we’ll be staggering game starts during Clash by making the scouting phase variable (meaning some participants may experience slightly longer scouting phases), as well as changing the way parts of Clash work to be less taxing on the platform. In the long-run, we’ll accelerate breaking out the aspects of the platform that are critical to game starts, making it easier to debug and fix and also fail gracefully. While we do this work, we’ll be pausing all regional tests until we’re confident the next time you play we can provide the experience you deserve. 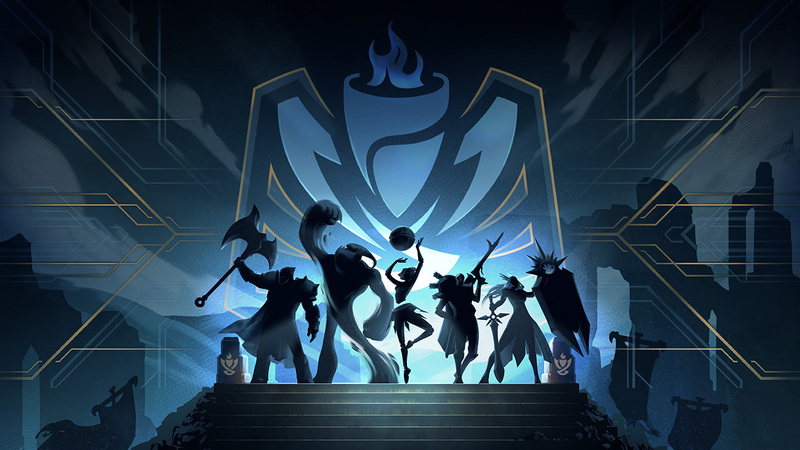 We’re going to share regular status updates on how we’re doing on the road to relaunch, and to help us verify the fixes and changes for game starts, we’ll be running Clash tournaments on PBE. These tests might be buggy as we roll out fixes. We’ll then go back to each region to ensure all our systems can cope with a staggered global release and that we have the right processes in place to support each region. Every regional test will have free entry. These will vary from quick one-day tournaments to three-day beta weekends that will be close to the full experience, but we’re likely to still be triaging some issues. 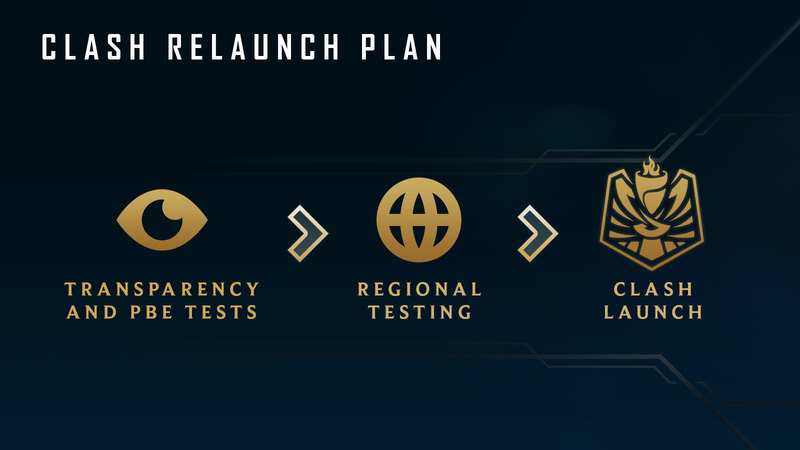 Finally, we’ll launch Clash for real, but only when we have high confidence in Clash’s stability. We still believe that playing League with a premade organized team unlocks an experience that you will love. Getting Clash to you remains one of the most important efforts for League in 2018. Because your feedback is more important than ever, we’ll be back with a series of free regional tests before the end of the year. We’ll be sharing more in the coming weeks on where we’re at, and we hope you can join us in the upcoming one-day tests. Thank you all for your patience and continued support. New001 is a jungle main and the product lead for League of Legends. Someday he'll get back to Gold.